The best way I have found to attract viewers to my blog is via free printables. 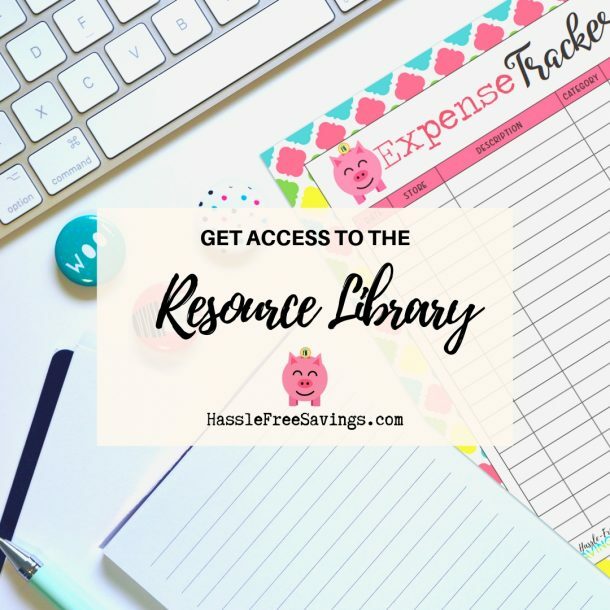 I try to create pretty, useful printables that give readers, like you, a reason to give me their email address. Of course, I try and write well thought out, interesting content as well but I think printables really are the bread and butter of what keeps people coming back to my blog over and over again. For my email subscribers, at least once a month I try and make sure to email them a new printable directly. Of course I’ll offer it on my site but they’ll get a direct email in their inbox. Typically I create a printable in InDesign. 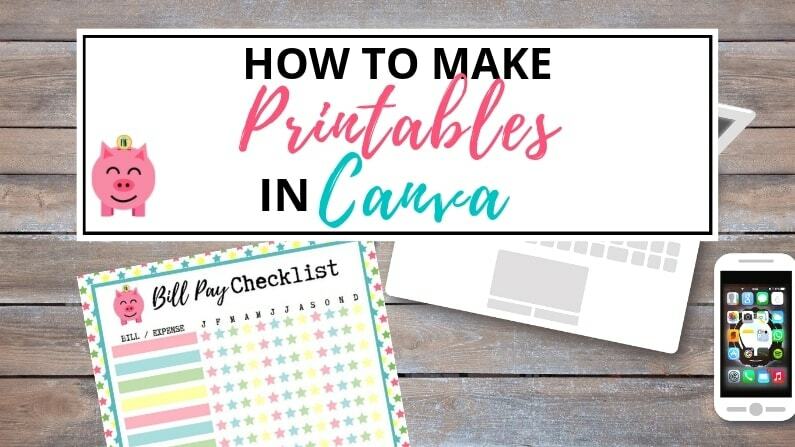 InDesign was kind of a pain to learn and it comes with a monthly fee so, today I am going to show you how to make printables in Canva. 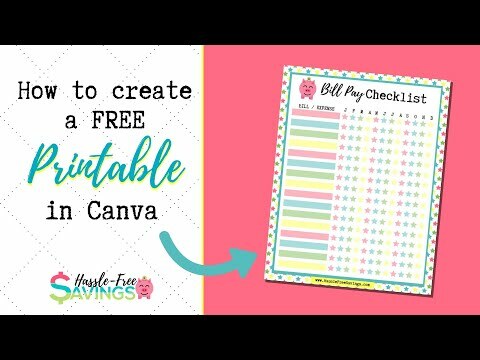 This video is a complete walk through of how to design printables using Canva. 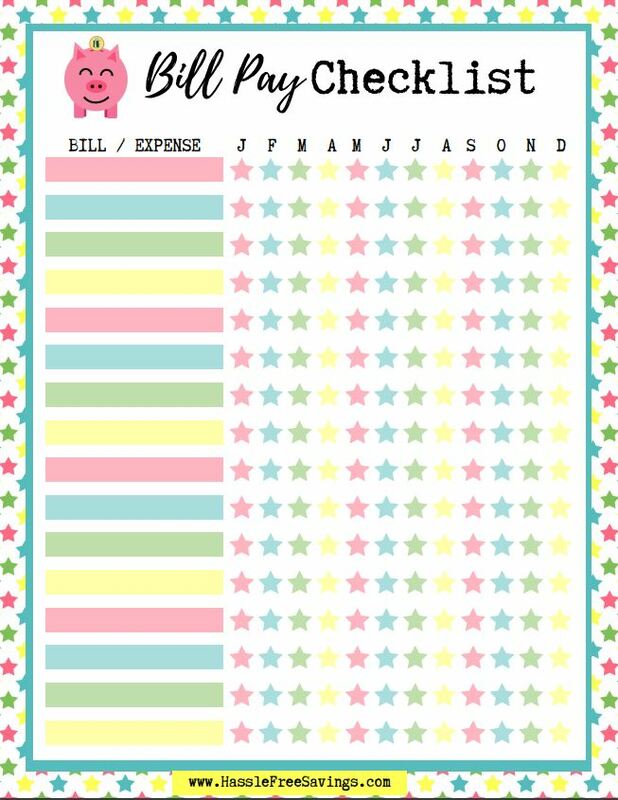 These printables can be designed for free. 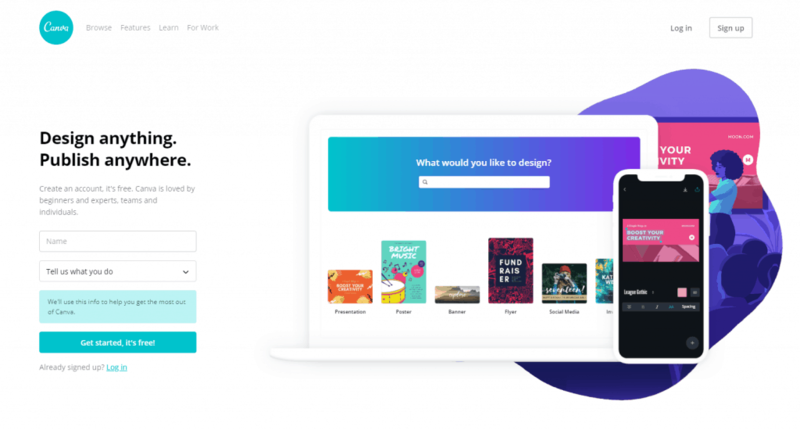 Visit the Canva website and create a FREE account or log into your existing account. 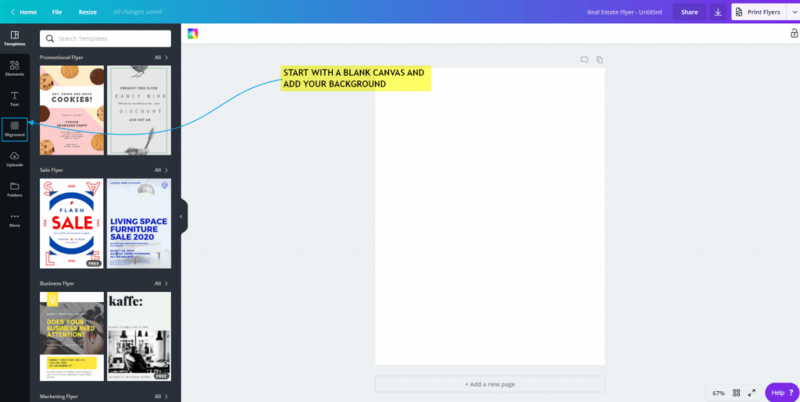 Select the “Flyer” template to get started. Click on Bkground to add your background. If you want to upload a background from your hard drive, choose Uploads instead. For this example I uploaded a background from my hard drive. To do that go to Uploads then click Upload an Image and select the image from your hard drive. When it is done uploading it will appear in the gallery below the button. To add the image to the blank document, click and drag it over. Release once the image fills the whole page. Next we will create a white block to cover most of the page so that our image is only the background. To do this click Elements and then All >. This will bring up the entire list of shapes. You want the one that looks like a white square. Click on it and a gray square will be added to your document. Once the square is in your document you can adjust it using the small white handles on each corner and in the middle of each size. Adjust it until you are happy with the results. I wanted most of the page to be white with a colored background. Once it is the right size adjust the color and position. Once the block is in the position you want it, click the lock icon to lock it in place. This will prevent us from accidentally moving the layer in later steps. Next we want to add our title. I like to use at least two fonts to do this. In my example I use Playlist Script and a Typewriter font. To add the text go to Text and then click Add Heading. You can adjust font, font size, color, case, etc using the menu bar at the top. If you increase your font too much your text may wrap. To get it onto one line again, click on either of the handles and make the box wider. Once you have the text the size you want move it into position by clicking and dragging. For the second font, use a separate text box by clicking on Add A Heading again. 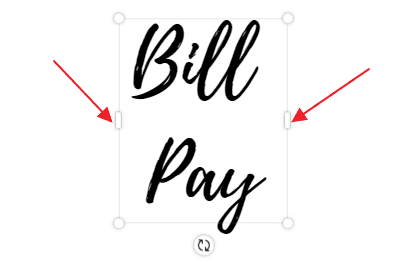 Then drag your second word to align with your first (if you are doing mixed fonts like me). 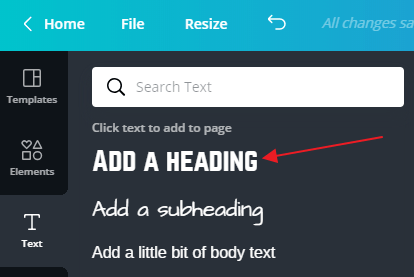 Canva has great alignment guides. 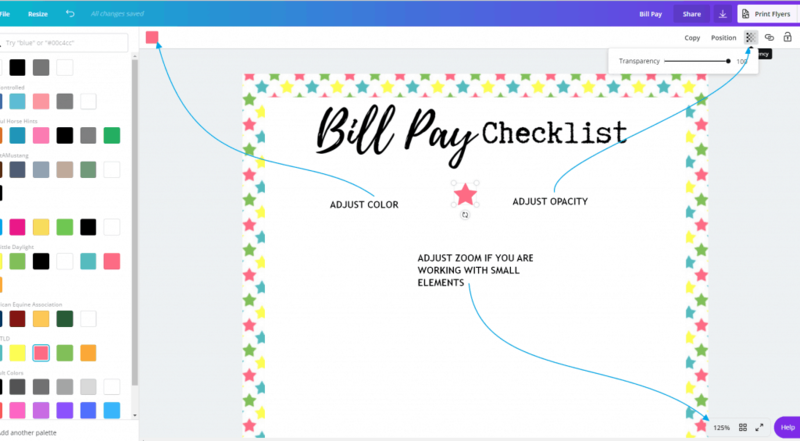 You can see here it is showing me when “Bill Pay” and “checklist” are aligned in the middle. You can continue playing with fonts until you get them the way you like them. Once you have the title the way you want it. click hold and drag so that you select both text items. Once you have both text items, select group from the menu. Then select Position -> Center (if you want your title centered). Once we have the title positioned we can lock it if we want to avoid moving it in future steps. 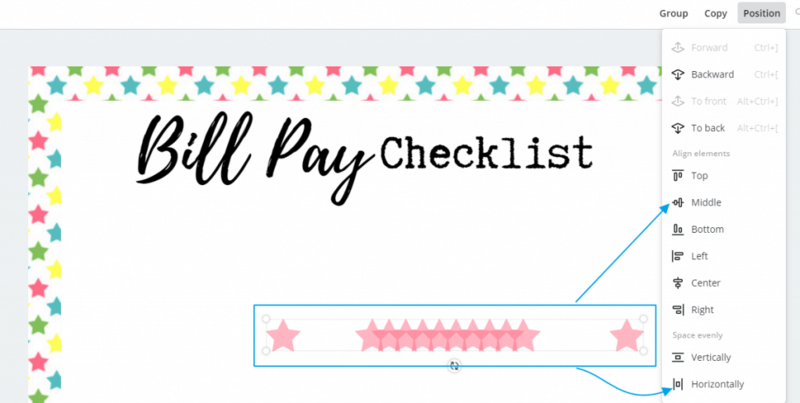 Because this is a bill pay checklist, I’m going to add spaces for people to check off. I want one check mark for each month. 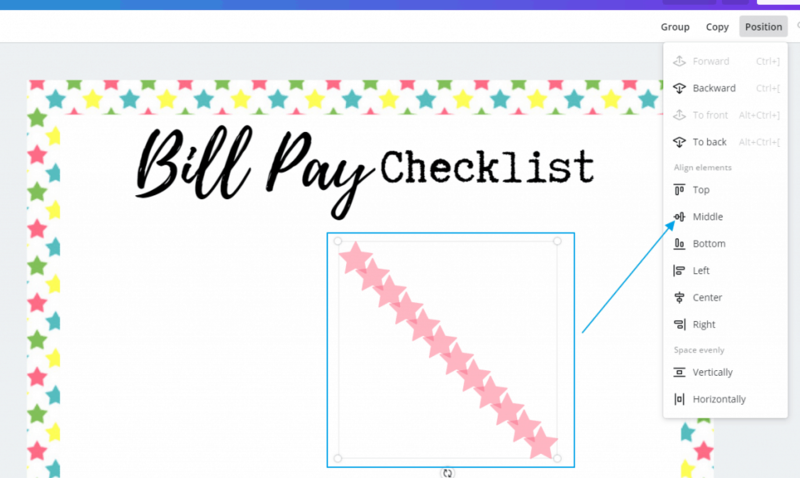 Because the background is stars, I decided to go with a star instead of a traditional check box. To get the star go to Elements on the left side menu. You want to navigate to the shapes section like we did before. Scroll down and find a star icon and click to add it to the document. The shape will add rather large so use the corner handles to scale it. Then use the color selector to select color. Adjust opacity from top menu as well. I used 50% for this printable. If you are working with small elements, like these stars, you may want to adjust your zoom. You can do that in the lower right-hand corner of your document. Next we are going to copy the stars until we have twelve, one for each month. Select the star and press copy 11 times until there are 12 stars. Don’t worry about how they are aligned for now as long as they stay on the page. Next, draw a selection box around all the stars. Then choose position -> middle from the menu option. Now that we have them all aligned horizontally, we’ll want to space them out. For this, just set your first one where you want it to be and your last one where it should be. Don’t try to hand place them all. Once that is done, select all of the stars. Just in case, because I want all the stars in a row, I choose position -> middle again and then position -> space evenly horizontally. This gets all of the stars evenly distributed and aligned. If the edges overlap or it is too wide or too narrow, just repeat until you have it right. I wanted a label on mine so I’ll go ahead and add that now. In the video I do all the stars first but it is probably easier to finish a row first. Go to elements and add a square shape. Use the top and bottom size handles to make it a narrow line. It won’t go completely to a very small height. Adjust it as narrow as it will go and if you still need it narrower, use the corner handles to scale to the correct height. Once the square is at the correct height, use the left and right handles to adjust the width as desired. I also changed the color and opacity on this element as well. Just to be sure everything in the row is aligned properly I’ll select all my stars and the label and go to position -> middle one more time. Once they are aligned I’ll group them all together so that I have the row as one group. Next I’ll select the group and press copy until I have enough rows to fill at least 80% of the page. Then select all the rows you created and go to position -> center. Then drag the selected items to the middle of the screen. Now that they are centered, we’ll use the distribute button but this time we’ll distribute vertically. To do this set your first row where you want it to start (leave room for heading labels) and your last row where you want them to end. Select all the rows again and go to position -> center and then position -> space evenly vertically. If you added too many rows, like I did, go back in and delete some and repeat the positioning step. You will know you have too many rows because they will overlap when you space evenly. Once your rows are done we’ll go in and create headers. 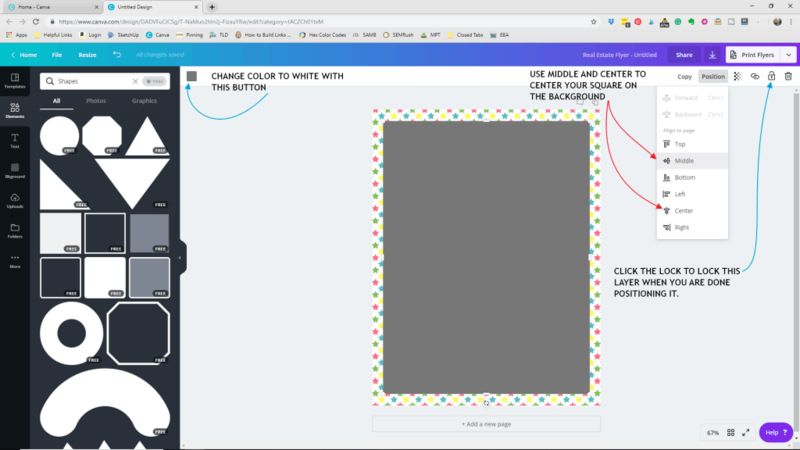 To do this just use the text tool and add a label. I find it easier to make the label for each star an individual text box vs trying to space it out in one text box using the space bar. 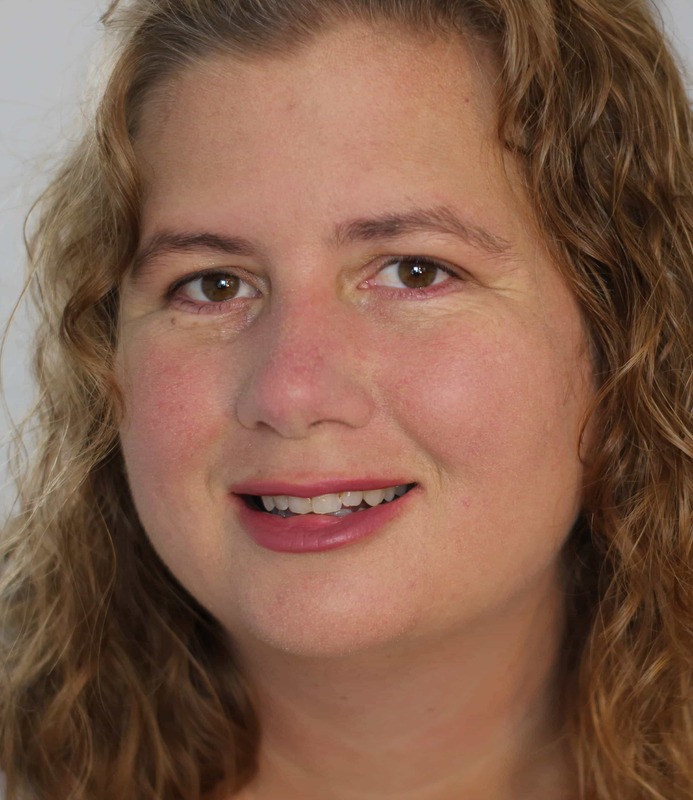 You can use guidelines to help align each individual item. 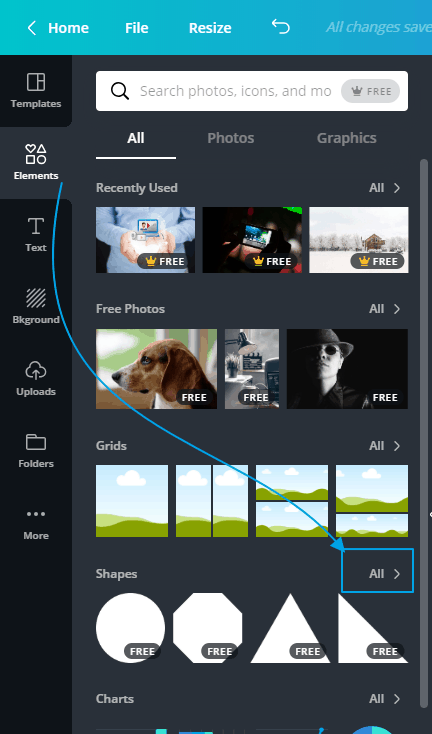 The above steps should have given you a good idea how to handle alignment and distribution in Canva. The possibilities are really only limited by your imagination. You will want to export your design as a PDF for print in most cases. Once you have your printable design downloaded you are ready to do what you will with it. I primarily use these for opt-ins on my blog but you can absolutely design them to sell on Etsy as well and get your side hustle going! Did you find this helpful? 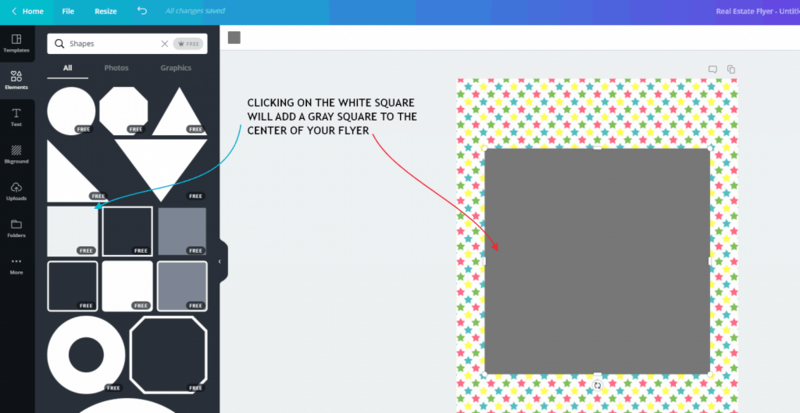 Have you used this tutorial to create your own printable? Leave your feedback in the comments! Excellent walkthrough! I’ve often used Canva for other projects, but I didn’t know how to get the more detailed alignments. Thanks for a super useful tutorial! You are very welcome! They were definitely a game changer for me once I figured out where they were and what they did!